join her one Wednesday for her Hump Day Hooray show and I have stayed ever since. In 2017 I was asked to join the Good Morning Monday team on a temporary basis, and have now become a permanent fixture, and I'm loving working with Helen on these shows. I was then given my own show every week named Showcase Tuesday. This is a dream come true and being able to interview and showcase people’s talents has been amazing. 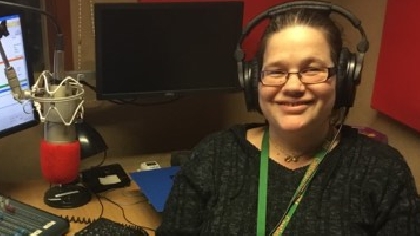 I love working at Castledown FM, I am learning so much not only from the other presenters but also from our guests. I am looking forward to spending as much time as I can with the station, learning and growing as a presenter. My Favourites; The Dixie Chicks, Ed Sheeran and Pink, the artist not the colour, thats purple!